Welcome to Destin Village! 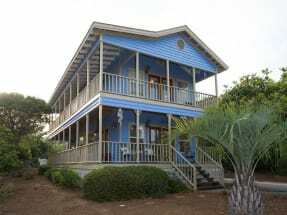 Emerald Coast by Owner is proud to be your premiere vacation rental service for this area! We offer you numerous vacation condominiums at great rates, equipped with all of our amenities still! Destin Village is just a small trip from the beach, and gives you a community pool! While you stay here, odds are you won’t be at your property the entire time, but don’t worry there’s plenty to do around here! A lot of people love going up to Big Kahuna’s Water Park, a place full of fun rides and slides and pools. There’s room for everyone to have a blast! Another great spot to check out is the Henderson State Park, this is more of a relaxing scene with private beaches and interesting beautiful scenery. Outside of activities, the food is out of this world. With places like Pompano Joe’s and The Back Porch, why wouldn’t you stay down here Pompano Joe’s offers you delicious Caribbean style seafood, while the Back Porch offers you a grilled seafood with other side varieties. Both restaurants however provide great service and have ocean views. 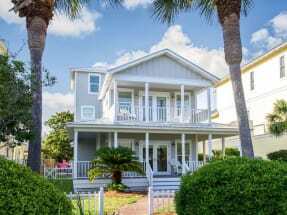 Visit us at Emerald Coast by Owner to book the best vacation rental you have ever had in Destin Village Cottages and Vacation Rentals in the Scenic Gulf Drive Central area! When you book with Emerald Coast by Owner, we make it easy for you to choose where, when, and what you want to do on your trip. Contact us with any questions!